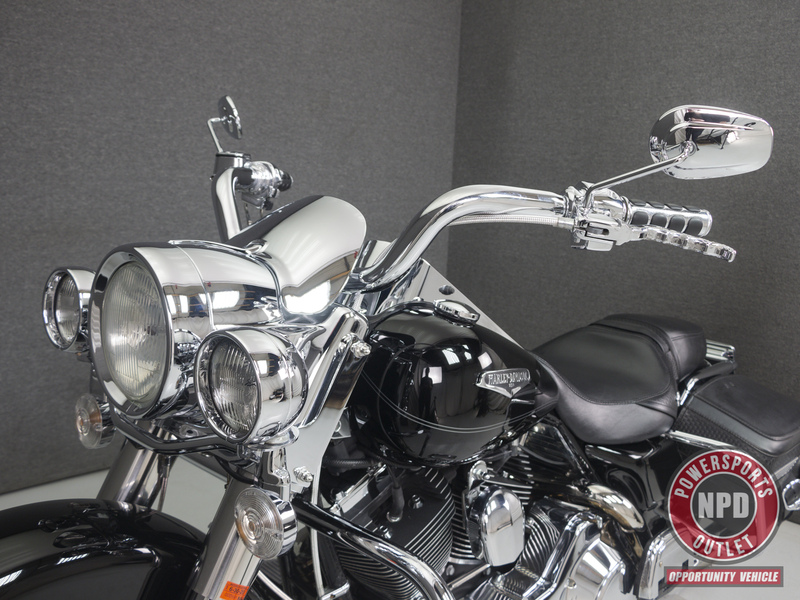 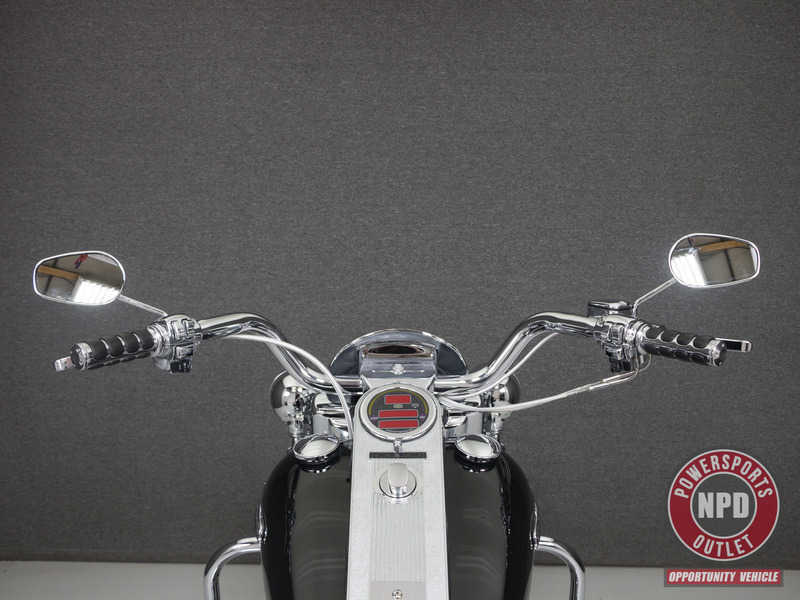 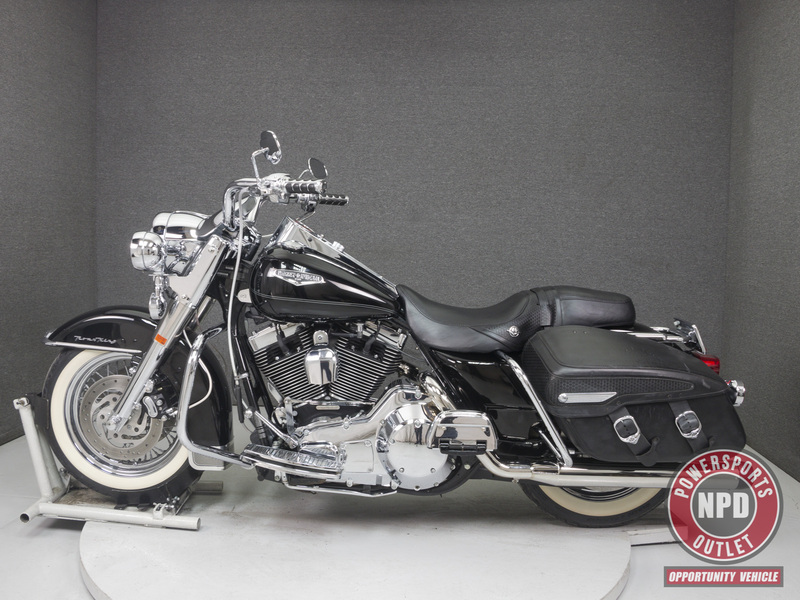 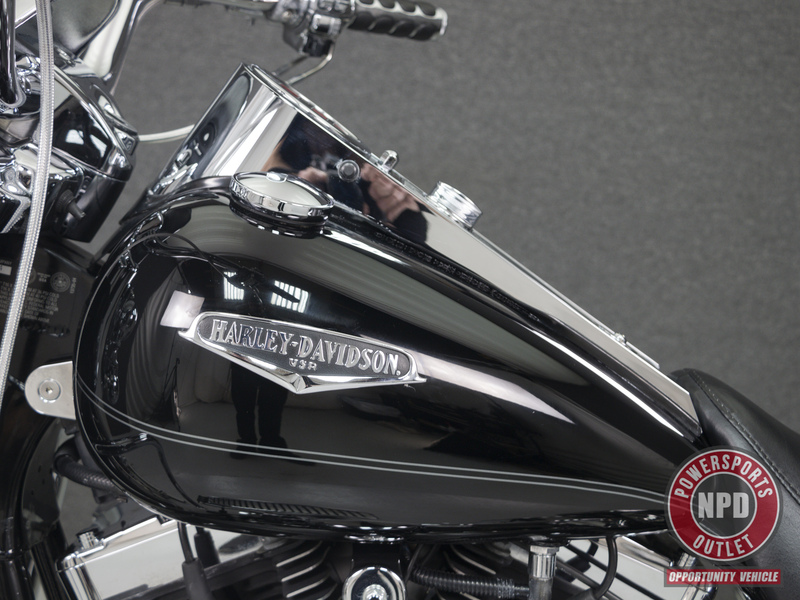 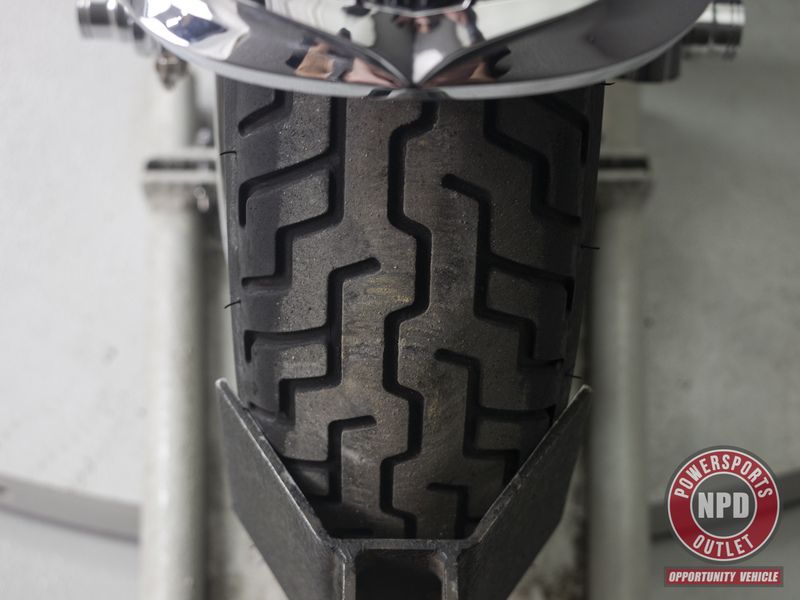 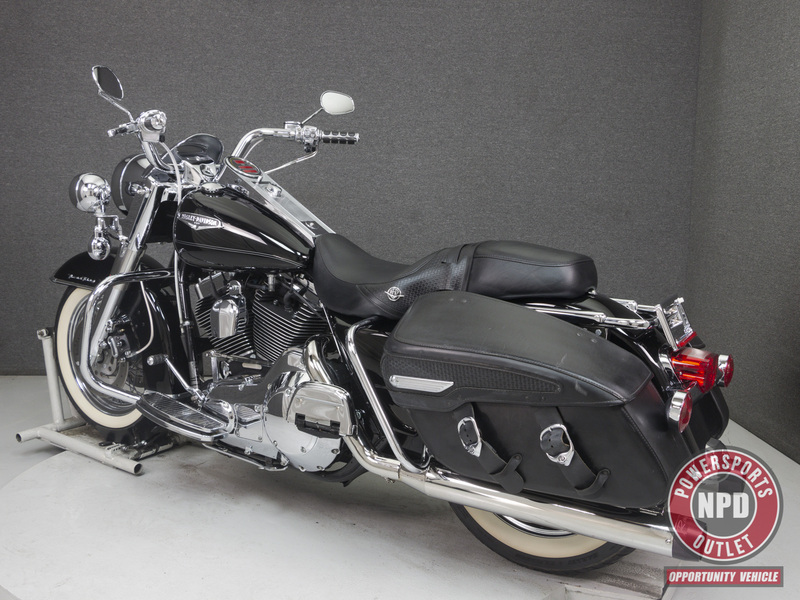 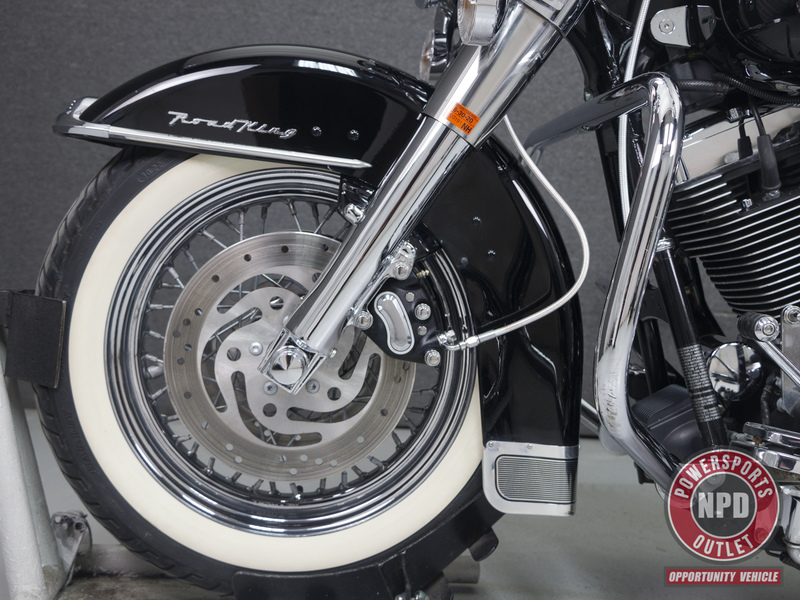 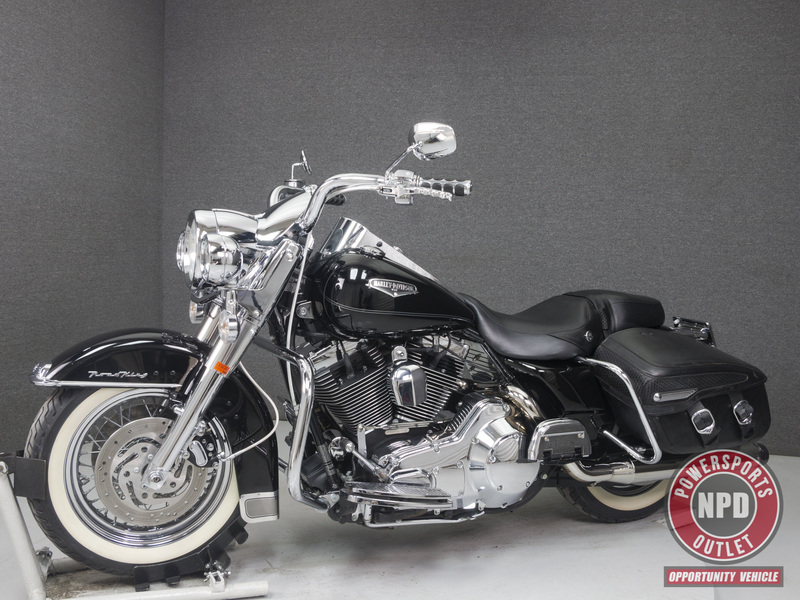 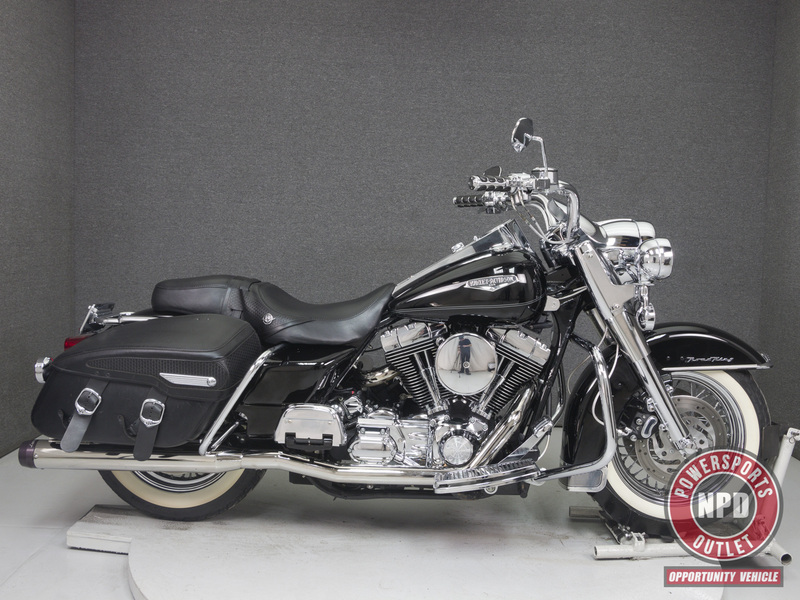 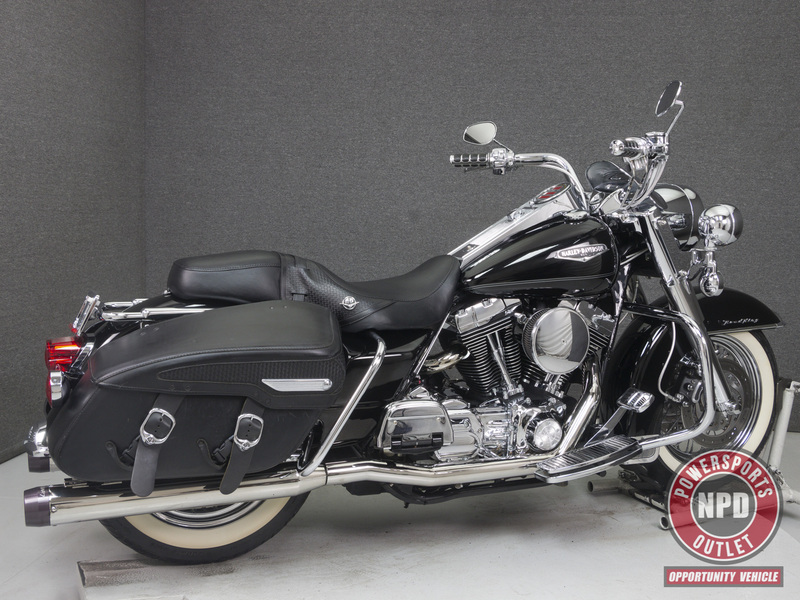 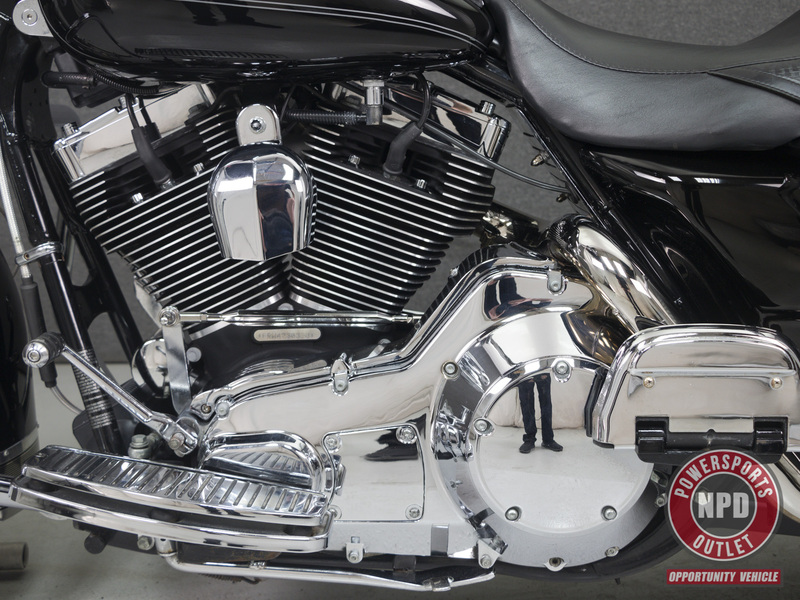 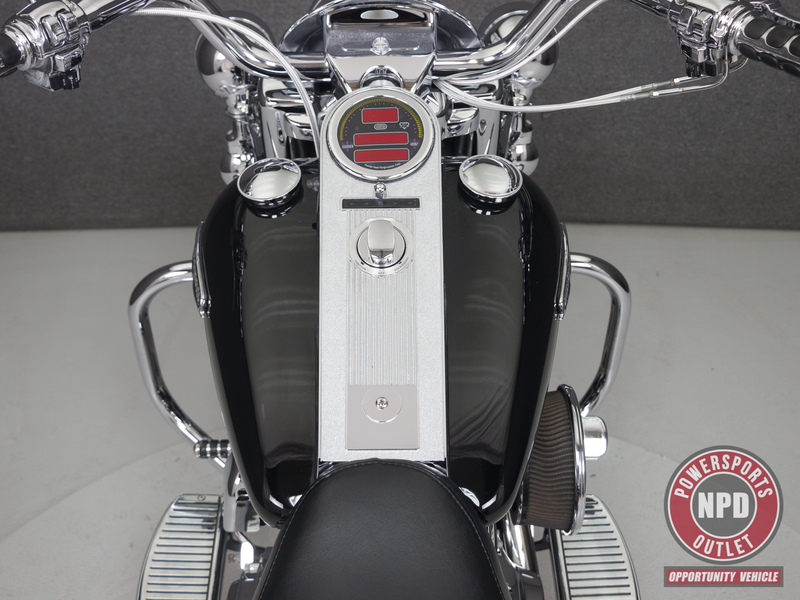 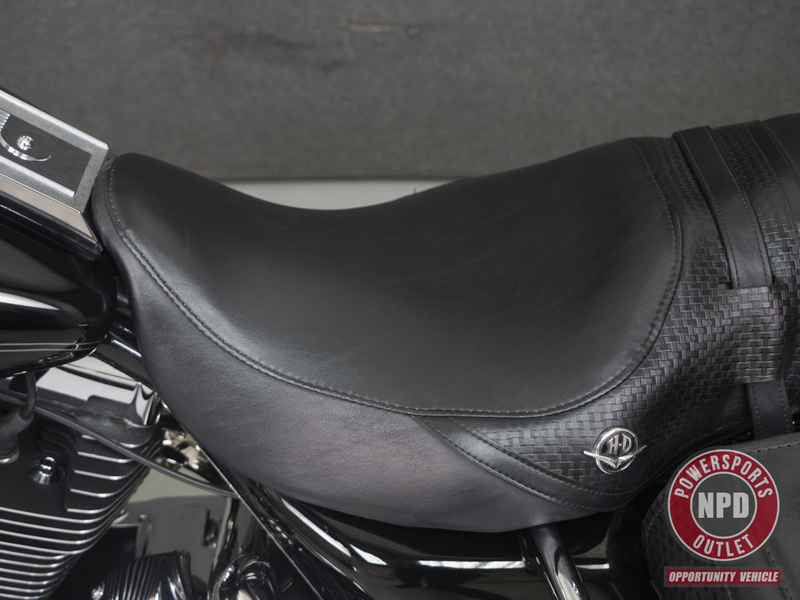 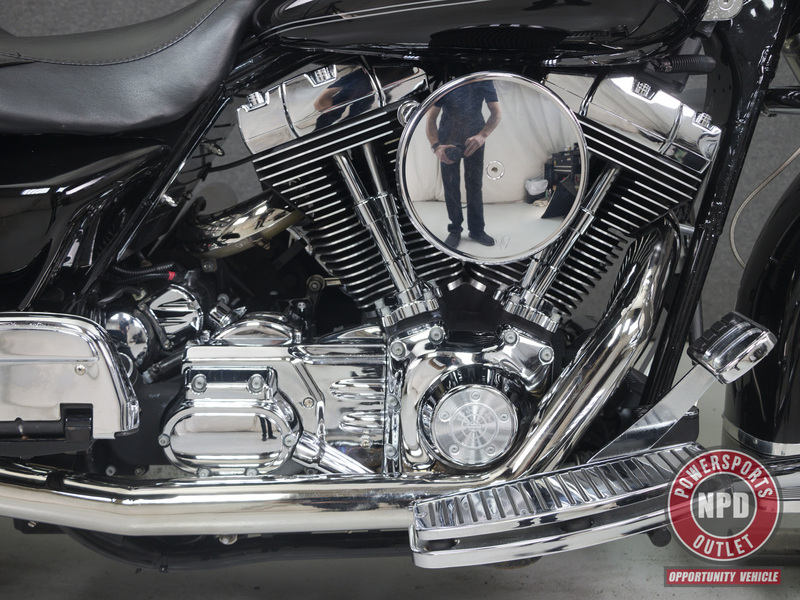 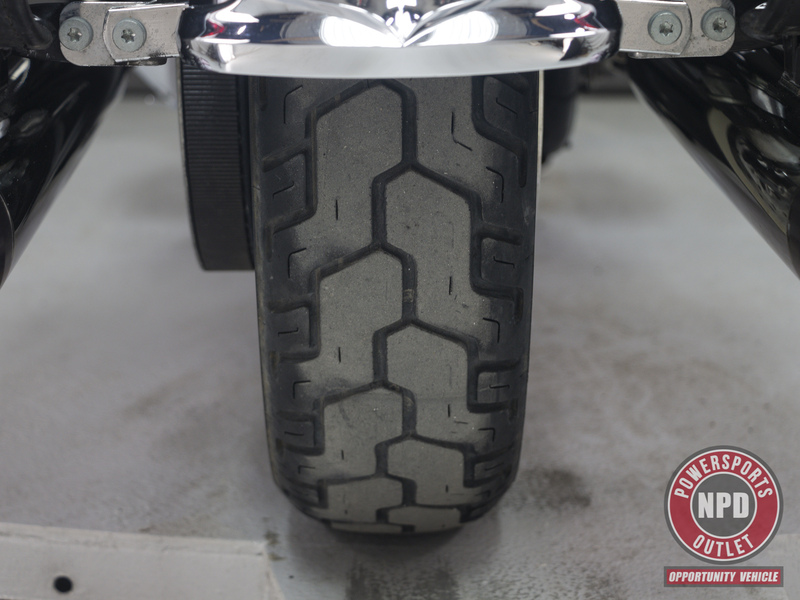 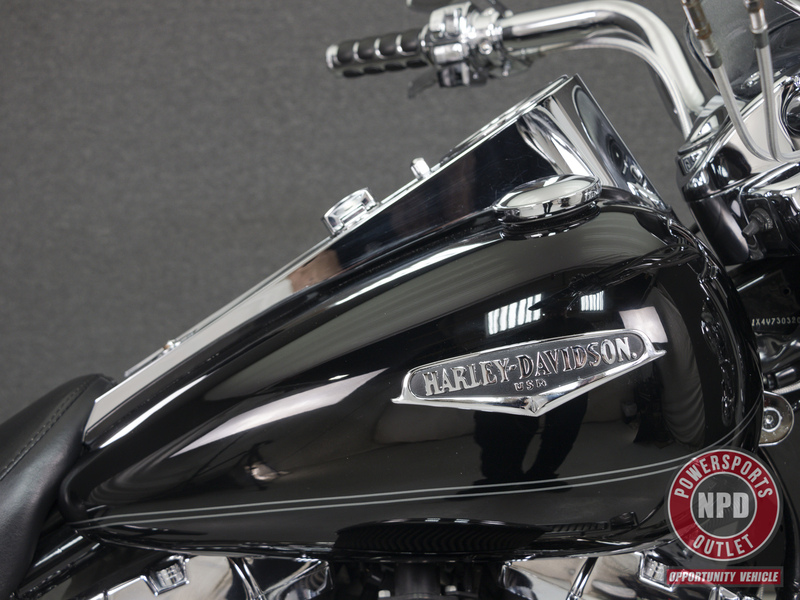 This 2004 Harley Davidson Road King Classic has been detailed and passes NH State Inspection. 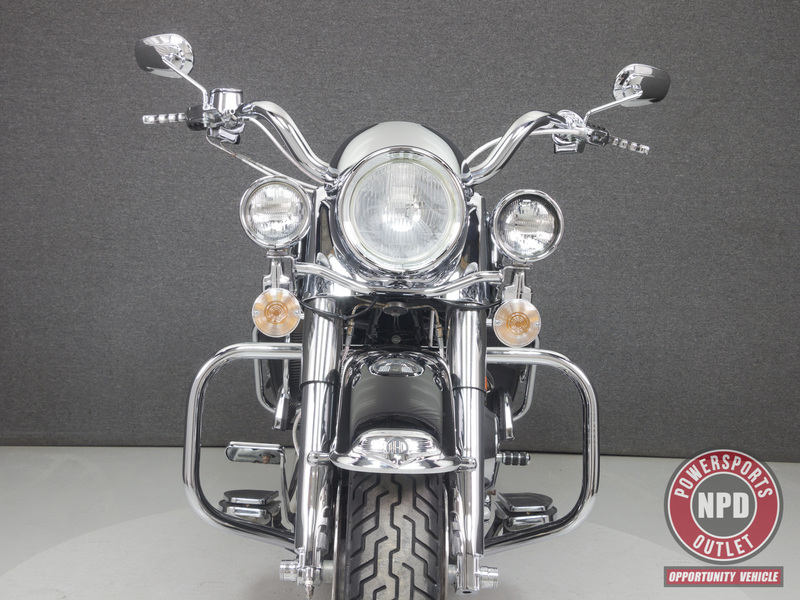 It runs, rides, and shifts well, though the cruise control is inoperable. 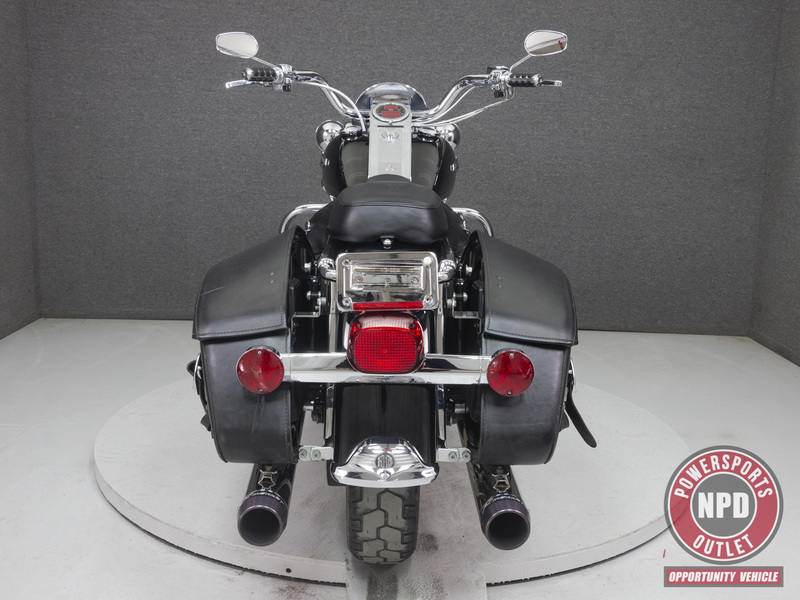 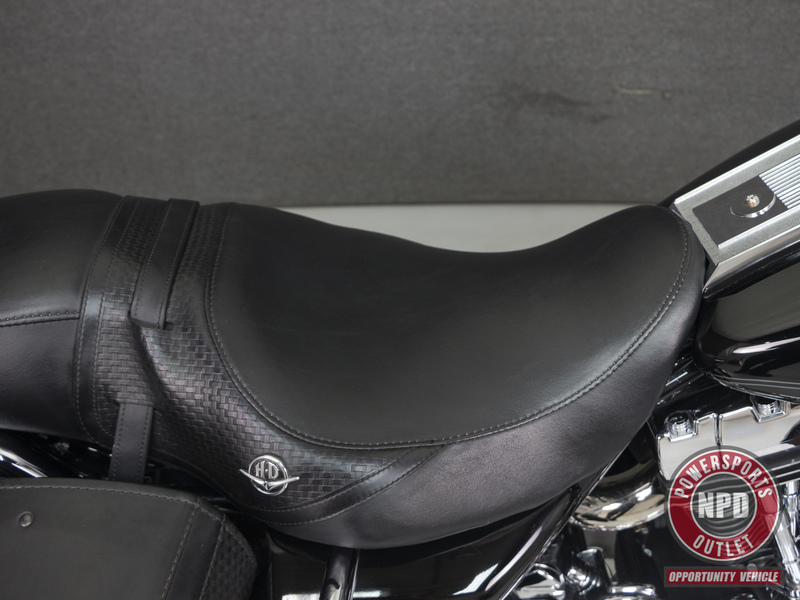 Powered by a 88 cu/in V-twin engine with a 5-speed transmission, the Road King puts out 80 foot-pounds of torque at 3,400 rpm. 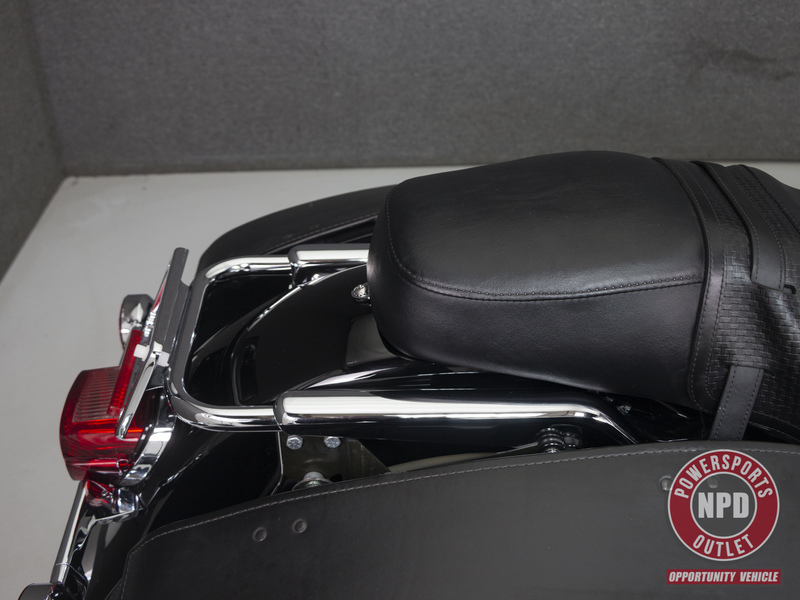 It has a seat height of 26.9" and a dry weight of 731 lbs. 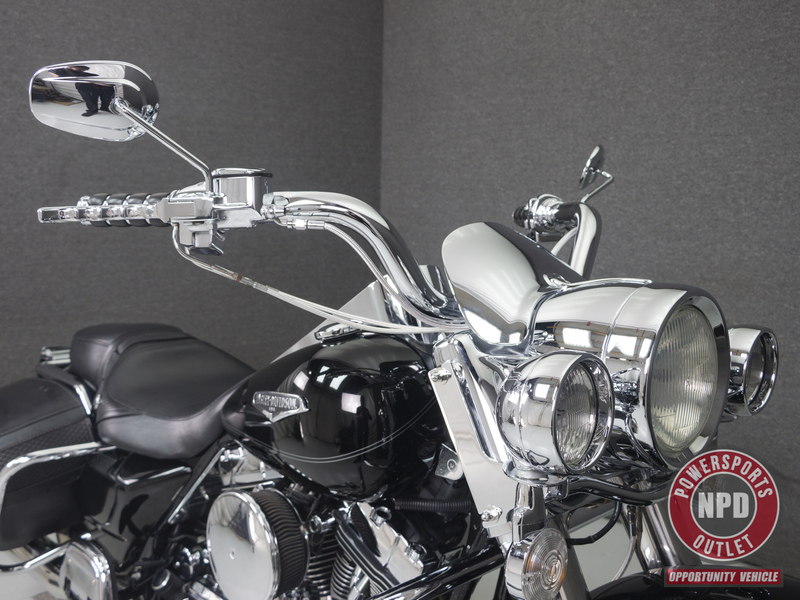 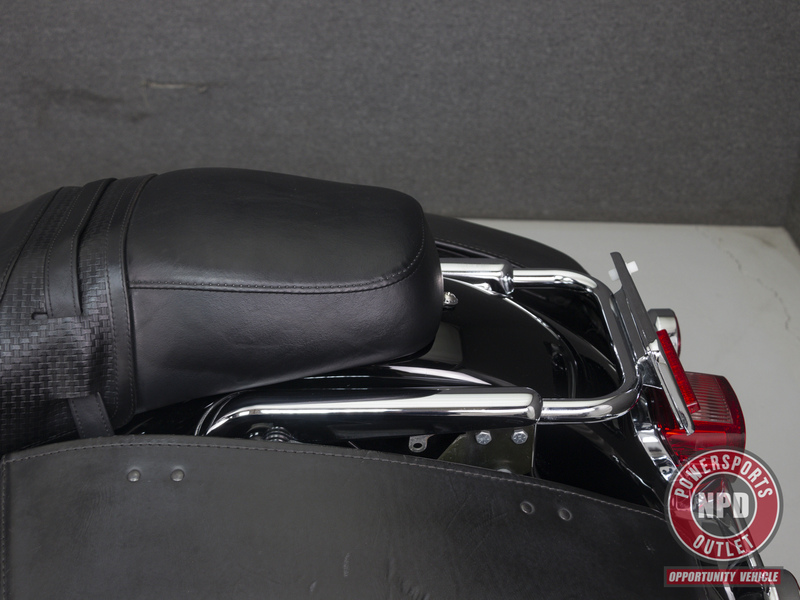 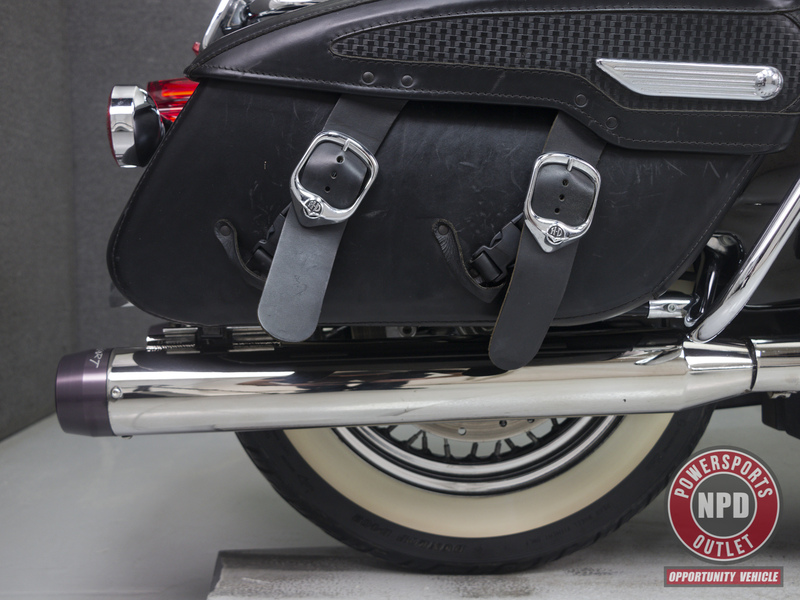 This bike has been upgraded with Chrome forks, a Rinehart true-dual exhaust, an Open air intake, an Oil line cover, a Digital speedometer w/tachometer, Steel braided lines & cables, Quick detach backrest hardware, Chrome hand controls, Handlebars, Levers, a Chrome clutch perch, a Chrome front brake reservoir, an Inner primary cover, Footboard inserts, a Shift peg, Passenger footboard covers, and Clear front turn signal lenses. 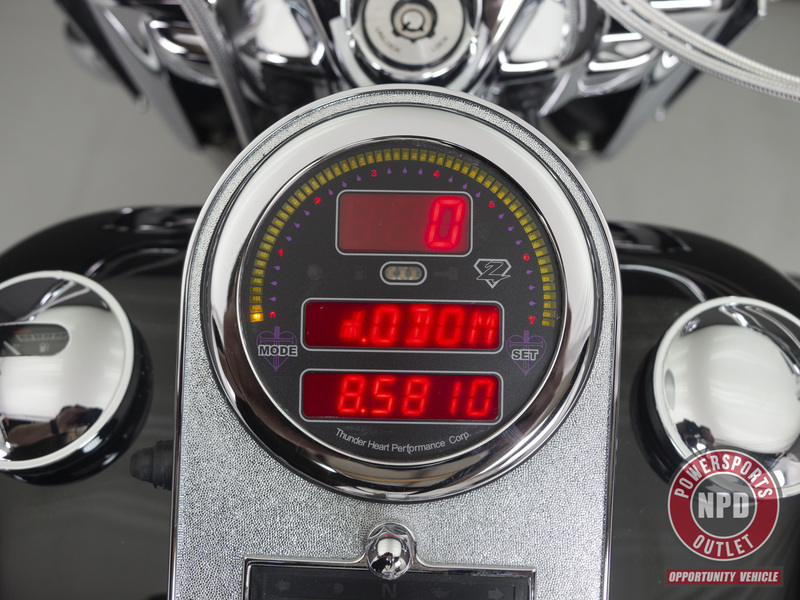 This is a true-mileage-unknown bike. 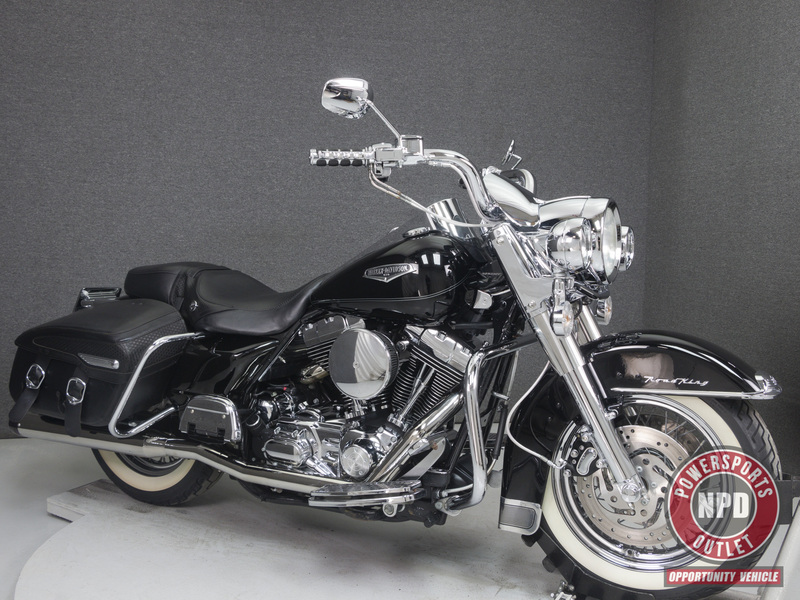 It should be noted that the keys for this vehicle are currently on order.